Closing 2012 on a high note, this business unit of Kompas-Gramedia group is opening two properties, Amaris Hotel Singapore and Amaris Hotel Malang. Identified as smart and trendy hotel, Amaris is dedicated to providing easy and comfortable stay for all guests. Towards the end of 2012, Amaris Hotel development continues to move forward with the opening of the 23rd and 24th hotel in Singapore and Malang respectively. There are currently 22 Amaris hotels in Indonesia spread in major cities such as Ambon, Cirebon, Bogor, Jakarta, Palangkaraya, Makasar, Pekanbaru, Banjarmasin, Bandung, Bali, Semarang, Surabaya and Jogjakarta. 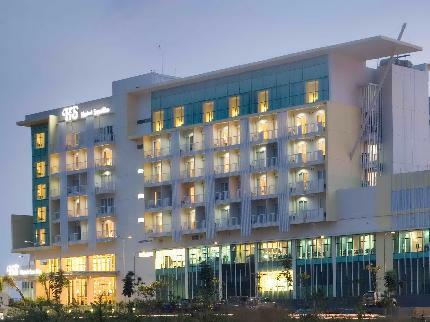 After successfully operating 51 properties in Indonesia, Santika Indonesia Hotels & Resorts gears up for an international expansion. The group has made a great move with its first step of expanding the business to a neighboring country, Singapore. Truly, the island-city state of Singapore is chosen because its tourism has scored world-wide reputation as the country’s big industry. One of the world’s most popular holiday destinations, Singapore is often regarded as Southeast Asia’s center of business hub. One of Singapore’s popular shopping areas is Bugis, which is home to the country’s largest street-shopping location. And this month, Santika Indonesia Hotels & Resorts is building Amaris Hotel Bugis, Singapore. In East Java, the development doesn’t stop with Surabaya. Amaris is opening Amaris Hotel Malang, located at Jl. Letjend. Sutoyo no. 39, Malang, East Java. This second largest city in East Java is best known for its fresh mountain air and beautiful landscape of Mount Semeru. Other tourism destinations of this city including nearby city of Batu, the apple plantations and the Bromo-Tengger-Semeru National Park. Amaris Hotel Malang is planned to have 111 rooms, spread in six floors. The hotel will have the facilities that include meeting room and swimming pool. 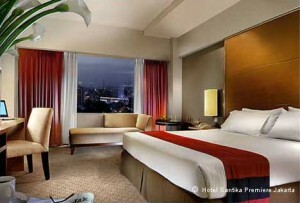 In the city, Santika Indonesia Hotels & Resorts has already built Santika Premiere Hotel which was opened back in 2004. Another Amaris property in East Java is the recently-opened Amaris Embong-Malang, Surabaya. Santika Indonesia Hotels & Resorts is committed to making business and tourism easier for everyone. Located in strategic center of towns and in the heart of tourism destinations, the four brands under Santika Indonesia Hotels & Resorts enable customers to choose which hotel suits them best. Through its tagline “Hospitality from the Heart”, Santika Indonesia Hotels and Resorts is always ready to serve you whatever your travel may be. Last but definitely not the least, hospitality and warm smile will always greet you at Santika Indonesia Hotels & Resorts. Published in the Jakarta Globe on December 12, 2012.